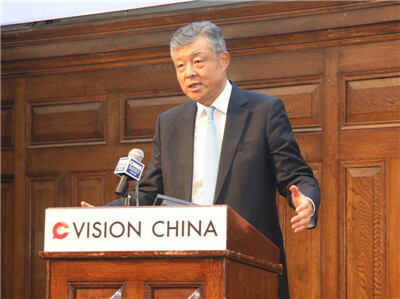 On September 13, Ambassador Liu Xiaoming attended “Vision China” and delivered a keynote speech entitled Further Reform and Opening up Creates a Brighter Future. 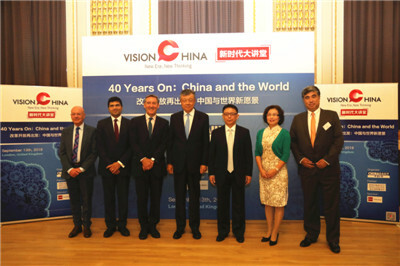 The event, titled 40 Years on: China and the World, was hosted by China Daily. Nearly 200 people were present, including Zhou Shuchun, Editor-in-Chief of China Daily, the Rt Hon. Lord O’Neill, Chair of Chatham House, Nikhil Rathi, CEO of the London Stock Exchange, Martin Jacques, Senior fellow at Cambridge University's Department of Politics and International Studies, and representatives from political, business, media and academic sectors of China and the UK. Ambassador Liu noted in his speech that in the forty years since China’s reform and opening up, China has achieved remarkable success due to its down-to-earth approach in exploring its own development path, undaunted courage in its self-revolutionary reform, and open and inclusive attitude to embrace the world. China’s continued reform and opening up in the new era will enable China to share its solutions with countries in search of development paths, offer its wisdom to a world of evolving economic landscape and contribute its ideas to the reform of the global governance system. The new round of reform and opening up will create big opportunities for the international community that enables China to remain as a powerful engine for world economic growth and common development and provide a big market to global products and service. This year marks the fifth anniversary of the Belt and Road Initiative proposed by President Xi Jinping, and the BRI has become a major platform for China to deliver benefit to the whole world. 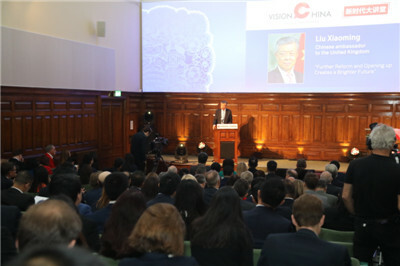 After the speech, Ambassador Liu answered questions on how China’s new round of reform and opening up would create opportunities for British companies. 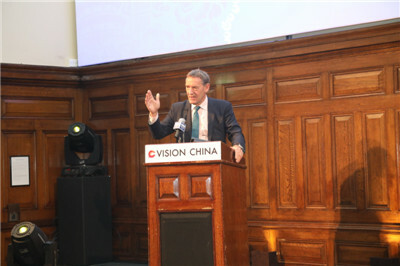 Lord O’Neill spoke highly of the achievements of China’s reform and opening up, saying that China sticks to its policies and plans with high predictability and strong economic growth. Historically, China had been a major economy for a long time. It is no surprise that China will become the world’s largest economy again. China is sharing its development benefits with the world. The forthcoming China International Import Expo is “a fantastic idea”. The Belt and Road Initiative will become the most globally influential undertaking in the future. 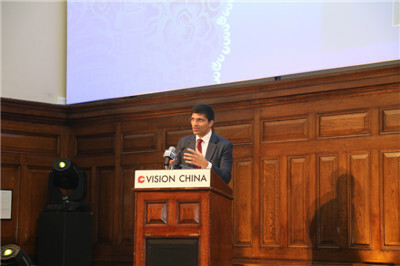 Rathi said that since the reform and opening up, China and the world’s financial markets have been increasingly connected. In recent years, China-UK financial cooperation has been flourishing. The RMB bonds in London are welcomed by investors from worldwide. 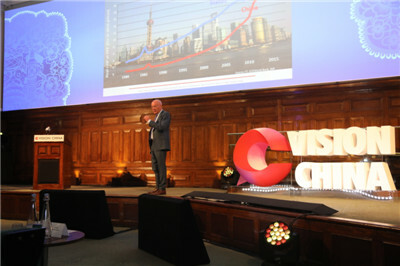 The Shanghai-London Stock Connect, once in place, will offer great convenience to China-UK financial integration and upgrade China’s financial market access. There is a promising prospect for China-UK cooperation on the Belt and Road Initiative. He hoped that the two countries would carry out deeper green finance and tripartite cooperation with mutual benefit. Jacques said that over the past forty years, with China’s rapid economic development, the world’s economic centre has been continuously shifting to the east. The reform and opening up has not only changed China, but also provided brand new ideas on the development in developing countries. It is also a pioneering work which breaks cold war confrontation and promotes globalization. He is convinced that China as a peace-pursuing country since ancient times will continue to making the world a better place in the new era. The guests, encouraged by the Ambassador’s speech, acclaimed the significance of the reform and opening up in the face of the rising of deglobalization, unilateralism and protectionism, because they embody the spirit of innovation and openness. The Chinese culture values peace. China’s economic prospects are bright and the potential of its consumer markets is enormous. China-UK cooperation on the Belt and Road has broad prospects. The two sides should seize the opportunities and tap their respective strengths in the fields of trade, finance, culture and law to achieve more fruitful results.